Did you know that there were restrictions and limits when it comes to luggage and carry-ons when you fly? Depending on the aircraft carrier and passenger load your airline has, the size of your carry-on bags allowed on your flight may be effected. Smaller planes may not have the same room in their overheads as larger planes or jets. You should always check with individual airlines to see what their carry-on requirements or standards are for your flight. Check the permitted dimensions and weight allowance. There may be times that your carry-on may be rejected for being too big when you approach the flight door. If so, always remove essential items you may need for your flight and hand your bag to the flight attendant Your bag can be claimed with checked in luggage or at the flight gate. Don't argue with the flight attendant or you may not be allowed on the flight and that would ruin your entire trip. Items that are essential to you should be packed in your carry-on bag Things like passport, travel documents, medicine, jewelry, glasses. Then add what you would need for a day or two if your luggage doesn't arrive. Pack 2 sets of clothing, underwear, makeup and any other important items . Next consider what you will be using on the flight such as head phones, a book, or any other form of entertainment. TSA has strict standards when it comes to taking liquids on a plane. There is a maximum of one, quart-size, clear plastic zip-top bag allowed in carry-on per person. The bag can only have containers of liquid that are 3.4 oz. or less. Please do not bring a bottle of water for your flight. It will not be allowed. 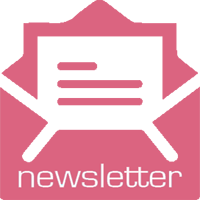 Visit your airline's website and read about current restrictions. Most of the airlines will allow passengers to check one luggage piece on their trip. But, there are weight restrictions to the baggage they allow. Most airlines have a weight limit of 50 pounds on domestic and international flights. Bags over 70 pounds are usually not permitted at all. . If your luggage weighs more than the allowance, the airline charges a fee. Check with your airline to find out how heavy your bag can be without a surcharge. 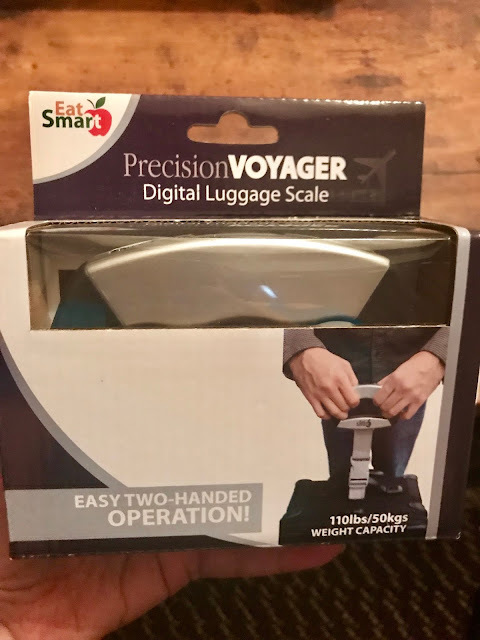 I recommend that you get a baggage scale like this Voyager Digital Luggage Scale. 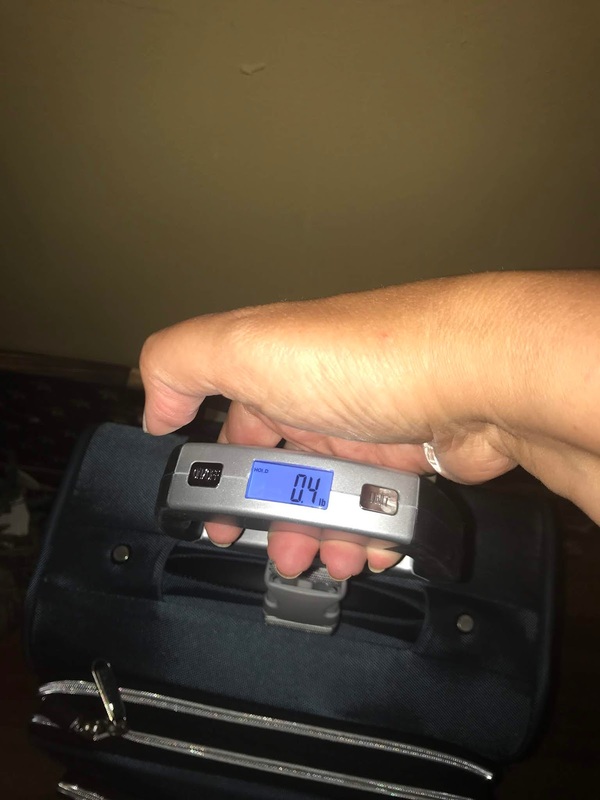 This luggage scale has a proprietary two hand grip that allows you to lift the heaviest bags. It has a beep feature when the weight of the bag locks in. The scale is lightweight, at 5.5 oz. it can easily be tossed into a bag for your return trip. 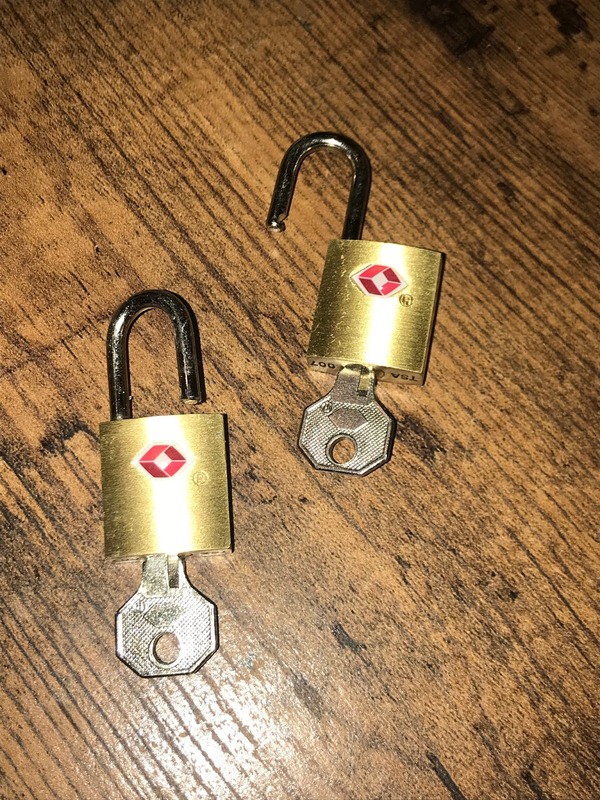 You should always use TSA approved luggage locks. Every bag gets screened before being placed on any airplane. Sometimes the inspectors may opt to physically check a bag. If you lock is not TSA approved, in which they can use a universal TSA key, it will be broke so that they can gain access. To check whether your luggage lock is TSA approved, check to see if it has a flame or sideways diamond on it. There is nothing worse than standing at a carousel of black luggage and try to figure out if it is yours. When purchasing luggage, try choosing an odd pattern or bright color so that it can easily be spotted. If you opt for standard colors, try attaching colorful ribbons on the handle or decorate it with bright stickers so you can easily spot it. Be sure to always keep a luggage tag with your address on your luggage in case it is lost or misdirected. You should also put the same information on a card inside your luggage. On a recent trip to Florida that I took I had so many neon stickers on my luggage it looked like it was going to a disco! However, when it came off the plane and onto the luggage carousel, I could spot it a mile away. Look for luggage that has sturdy wheels that rotate and an extendable handle to help you manage your luggage more easily in and out of the airport. Also, make use of the rolling luggage carts that are available. They are free at international airports, but may have a fee to use domestically. The fee is minimal and if you have a large group it is worth the cost to get from point A to point B.
I hope that you found this information useful. If you need more information about traveling at the airport, please visit the airline website that you will be flying for the most accurate and up to date information. *Open to US only, 18 and older. 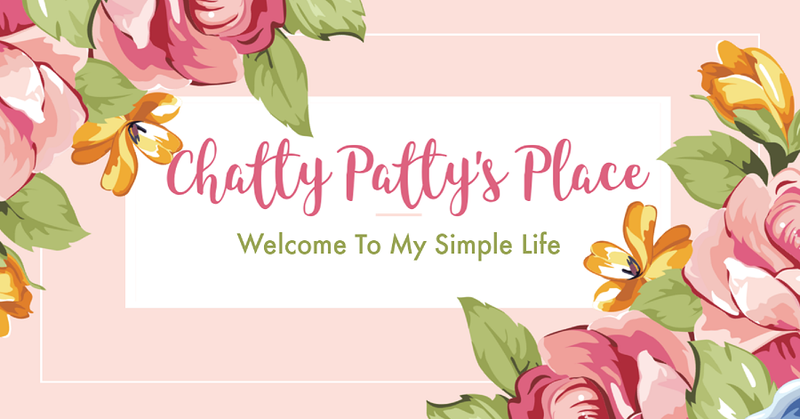 Ends 8/15/18. Disclosure: This post contains sponsored content in conjunction with Eat Smart Products.